Industrifonden’s Head of Life Science Nina Rawal has been named one of the World Economic Forum’s Young Global Leaders. The distinction is given each year to a handful of people to recognize their professional accomplishments, commitment to society and potential to contribute to shaping the future of the world through inspiring leadership. Prior to the role as Head of Life Science at Industrifonden, Nina held the position of Vice President of Strategy and Ventures at Gambro. Previous experience also includes Swecare Foundation, and The Boston Consulting Group in Stockholm and New York. 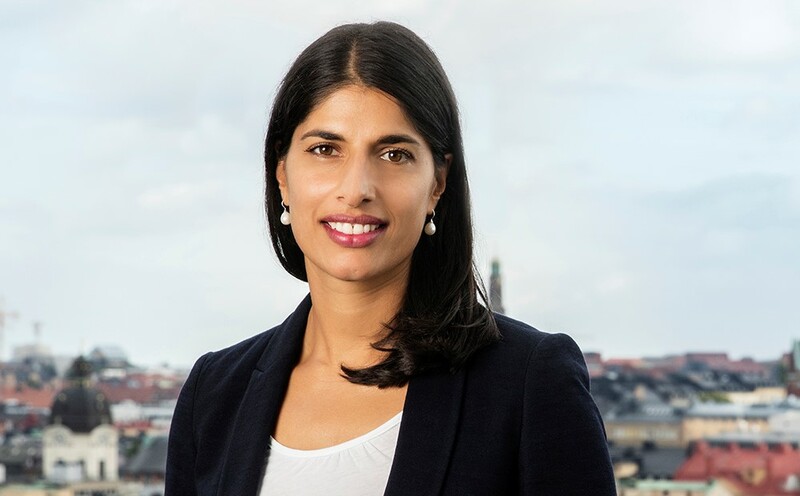 She holds pro bono positions as an adviser to the innovation unit at Médecins Sans Frontières and as a principal at Stockholms Sjukhem. Nina has a Master of Science in biomedicine and a PhD in molecular neurobiology, both from Karolinska Institutet, with research work done at Hôpital la Salpêtrière in Paris and Columbia University in New York. Nina is one of two Swedes who’s been selected for the Forum. Claudia Olsson, serial entrepreneur and CEO and founder of Exponential AB, is the other. Other Young Global Leaders include Alibabas founder Jack Ma, Facebook founder Mark Zuckerberg, Cristina Stenbeck (Kinnevik), Daniel Ek (Spotify) and Google co-founders Larry Page and Sergei Brin. The Forum of Young Global Leaders is a diverse community of the world’s most outstanding, nextgeneration leaders. Bold, brave, action-oriented and entrepreneurial, these individuals dedicate their time and talent to help make the world a better place. They share a commitment to working with their peers to achieve results of genuine, global significance.